Applications are invited from suitably qualified candidates for admission into the Full-Time Higher National Diploma (HND) and Professional Diploma – Post-Higher National Diploma (Post-HND) programmes, the Polytechnic Ibadan for the 2018/2019 Session. 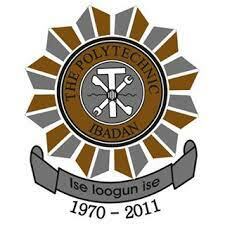 The Polytechnic Ibadan HND & Post-HND Entry Requirements. Technology and Management (i) National Diploma in Secretarial Studies or OTM at Lower Credit or above plus 1 year Post-ND Industrial Attachment or in exceptional cases, candidates with a Pass and 2 years Industrial Attachment may be considered. In addition, ND holders must possess 5 Credits in WASCE, GCE, NABTEB, SSCE or NECO at not more than two (2) sittings. (ii) National Diploma (ND) of The Polytechnic, Ibadan through its Preliminary Programme plus 5 Credit Passes as indicated in (i) above Credit Pass in English Language, and at least a Pass in Mathematics is required Any additional four credits from: Geography, Yoruba, English Literature, History, Government, IRK/CRK, Accounts, Biology/Agric Science, Shorthand and Typewriting, Book Keeping, Economics/Commerce, Business Methods, Mathematics. (B) Higher National Diploma in Purchasing & Supply (a) (i) National Diploma in Purchasing & Supply or Business Studies with minimum of Lower Credit plus 1 Year post ND Industrial Attachment or in exceptional cases, candidates with a Pass and 2 years Industrial Attachment may be considered. In addition, ND holders must possess 5 Credit Passes in WASCE, GCE, NABTEB, SSCE or NECO at not more than (2) Sittings. (ii) Foundation A and B of CIPSMN plus 5 Credit. Must not be written at the same diet. For a candidate that does not have National Diploma of The Polytechnic, Ibadan, there must be an evidence of CPSS I & II. English Language and Mathematics. As above. Any Additional Three (3) Credits from: Economics/Commerce, Business Methods, Geography, Government, Book-keeping/Accounts, Literature in English, Yoruba, Biology/Agric Science, Office Practice/Management, CRK/IRK. (C.) Higher National Diploma in Mass Communication (i)National Diploma in Mass Communication at Lower Credit or above plus 1 Year Post-ND Industrial Attachment or in exceptional cases, candidates with a Pass and 2 years Industrial Attachment may be considered. In addition, ND holders must possess 5 Credits in WASCE, GCE, NABTEB, SSCE or NECO at not more than (2) sittings. English Language and Mathematics Any Additional three (3) Credits from: Geography, Yoruba/French or any other language, History, Government, IRK/CRK, Physics, Accounts, Chemistry, Biology, Economics/Commerce and Literature in English. (D) Higher National Diploma in Business Administration (i)National Diploma in Business Administration or Business Studies with at least a Lower Credit grade from The Polytechnic, Ibadan or any other NBTE accredited Polytechnic or College of Technology plus 1 year Post-ND relevant Industrial Attachment/experience. In exceptional cases, candidates with a Pass grade and two (2) years Industrial Attachment /experience may be considered. (ii) In addition, ND holder must possess five (5) Credits in WASCE, GCE, NABTEB, SSCE, or NECO at not more than two (2) sittings. (E) Higher National Diploma in Public Administration (i) National Diploma in Public Admin, Local Government Studies or Business Studies at Lower Credit or above plus 1 year Post- ND Industrial Attachment or in exceptional cases, candidates with a Pass and 2 years Industrial Attachment may be considered. In addition, ND holders must possess (5) Credits in WASCE, GCE, NABTEB, SSCE or NECO at not more than (2) sittings English Language, Government, Economics or Commerce with at least a pass in Mathematics. Any other 2 from the following: Geography, Financial Accounting/Book Keeping, History, Lit. in English, Yoruba, CRK/IRK, Mathematics. (F) Higher National Diploma in Music Technology (i) National Diploma in Music Technology at Lower Credit or above plus 1 year Post-ND Industrial Attachment may be considered. In addition, ND holders must possess 4 credits in WASCE, GCE, NABTEB, SSCE OR NECO at not more than (2) sittings. (ii)ND or OD of The Polytechnic, Ibadan through its Preliminary Programme plus 4 Credit Passes as indicated in (i) above. Higher National Diploma in Marketing (i) National Diploma in Business Studies or Marketing at Lower Credit or above plus 1 year post- ND Industrial attachment or in exceptional cases, candidates with a Pass and 2 years Industrial Attachment may be considered. In addition, ND holders must possess 5 credits in WASCE, GCE, NABTEB, SSCE or NECO at not more than two (2) sittings. (ii) National Diploma (ND), in Business Studies or Marketing, of The Polytechnic, Ibadan through its Preliminary Programme plus 4 Credit Passes as indicated in (i) above. English Language and Mathematics Any additional three (3) Credits from: Economics, Commerce, Business Methods, Geography, Accounts, Literature in English, Physics, Chemistry, Biology/ Agric. Science, Book-keeping, Yoruba, Government, History, Office Practice/Management, CRK/IRK. Higher National Diploma in Accountancy (1)National Diploma in Accountancy of The Polytechnic, Ibadan or any other accredited Polytechnic with Lower Credit or above plus 1 year Post -ND Industrial experience while those with Pass must have at least 2 years Industrial experience. In addition, ND holders must possess 5 credits in WASCE, GCE, NABTEB, SSCE or NECO at not more than 2 sittings. (2)National Diploma (ND) of The Polytechnic, Ibadan through its Preliminary Programme plus Five (5) Credit passes as indicated in (1) above. (3)At least ATS III of ICAN English Language & Mathematics Any additional Three (3) Credits from: Geography, Government, Economics, IRK/CRS, Physics, Chemistry, Accounts/Book-keeping, Biology/Agric. Science, Literature in English, Commerce, Office Practice/Organization, History and Yoruba Language. Higher National Diploma in Banking & Finance (1)National Diploma in Banking & Finance of The Polytechnic, Ibadan or any other NBTE accredited institution with Lower Credit or above plus 1 year Post- ND Industrial experience. In addition, ND holders must possess 5 Credits in WASCE, GCE, NABTEB, SSCE OR NECO at not more than 5 sittings. (2)National Diploma of The Polytechnic, Ibadan through its Preliminary Programme plus five (5) Credit passes as indicated in (i) above. (3)Certificate in Banking Examination conducted by CIBN. English Language, Mathematics & Economics Any additional two(2) Credits from: Geography, Yoruba, History, Government, IRK/CRS, Physics, Chemistry, Accounts/Book-Keeping, Biology/Agric. Science, Literature in English, Commerce, Office Practice/Organization. Higher National Diploma in Insurance (1)National Diploma in Insurance of The Polytechnic, Ibadan or any other NBTE accredited institution with Lower Credit or above plus 1 year Post -ND Industrial experience while those with Pass must have 2 years Industrial experience at least. (2)National Diploma of The Polytechnic, Ibadan through its Preliminary Programme plus five (5) Credit passes as indicated in (1) above. (3)At least 9 papers from Parts 1 & 2 of Chartered Insurance Institute of Nigeria (CIIN) quality Examination for HND Insurance plus 5 Credit passes in O/L including English Language & Mathematics. English Language & Mathematics. Any additional three (3) Credits from: Geography, Igbo/Hausa/Yoruba, History, French, Government, IRK/CRS, Physics, Chemistry, Economics, Accounts/Book-Keeping, Biology/Agric. Science, Literature in English, Commerce, Office Practice/Organization. Higher National Diploma in Electrical Engineering 1.National Diploma in Electrical Engineering at Lower Credit or above from NBTE – accredited institution plus 1 year Post-ND Industrial Attachment or in exceptional cases, candidates with a Pass and 2 years Industrial Attachment may be considered. In addition, ND holders must possess 5 Credits in WASCE, GCE, SSCE or NECO and NABTEB at not more that two (2) sittings. Credit Passes in Physics, Chemistry, Mathematics, and English Language (for NABTEB candidates). Any additional one (1) Credit from: Biology, Agric. Science, Technical Drawing, Economics, Further Mathematics, Geography, (for NECO, WASCE, GCE or SSCE candidates). Higher National Diploma in Civil Engineering 1. National Diploma in Civil Engineering at Lower Credit or above plus 1 year Post-ND Industrial attachment or in exceptional cases, candidates with a Pass and 2 years Industrial attachment may be considered. In addition, ND holders must possess 5 Credit Passes in WASCE, GCE, SSCE or NECO and NABTEB at not more than two (2) sittings. Credit Passes in Physics, Chemistry, Mathematics, and English Language (for NABTEB Candidates). Any additional one (1) Credit from: Biology, Agric Science, Technical Drawing, Economics, Further Mathematics, Geography, (for NECO, WASCE, GCE or SSCE candidates). Any additional one (1) Credit from the following for holders of NABTEB:- Woodwork, Building Engineering Drawing, Plumbing/Block Laying, Concreting, Building Construction. Higher National Diploma in Mechanical Engineering 1. National Diploma in Mechanical Engineering at Lower Credit or above plus 1 year Post- ND Industrial Attachment or in exceptional cases, candidates with a Pass and 2 years Industrial Attachment may be considered. In addition, ND holders must possess 5 Credits in WASCE, GCE, SSCE OR NECO and NABTEB at not more than two (2) sittings. 2.ND of The Polytechnic, Ibadan through its Preliminary Programme plus five (5) Credit Passes as indicated in (1) above. Physics, Chemistry, Mathematics and English Language (for WASCE, GCE, SSCE, OR NECO Candidates). Any additional One (1) Credit from the following for holders of NABTEB:- Metal Work, Technical Drawing, Welding and Fabrication, Auto Mechanics, Refrigeration and Air Conditioning. 2.Soil and Water Engineering Technology (1) National Diploma in Agricultural Engineering at Lower Credit or above plus 1 year post-ND industrial attachment or in exceptional cases, candidates with a Pass and 2 years industrial attachment may be considered. In addition, ND holders must possess five (5) Credit Passes in WASCE, SSCE, GCE, NATTEB or NECO at not more than 2 sittings. (2) ND of The Polytechnic, Ibadan through its Preliminary Programme plus Five (5) Credit Passes as indicated in (i) above. Credit Passes in Mathematics, Physics, Chemistry and at least a Pass in English Language. Any additional two (2) credits from: Biology/Agric. Science, Technical Drawing, Economics, Further Mathematics, Social Studies, or Geography. (a) Biology/Microbiology (i) ND in Science Lab. Technology or NISLT Diploma from recognized Institution at Lower Credit or above plus 1 year Post- ND Industrial attachment or in exceptional cases, candidates with a Passes and 2 years Industrial attachment may be considered. (ii) 5 Credit Passes in WASCE, GCE, SSCE or NECO including English Language at not more than (2) sittings. (ii) Agric Science is not acceptable for Biology. Microbiology (i) ND in Science Lab. Technology or NISLT Diploma from recognized Institution at Lower Credit or above plus 1 year Post- ND Industrial attachment or in exceptional cases, candidates with a Pass and 2 years Industrial attachment may be considered. (C) Applied Chemistry (i) ND in Science Lab. Technology or NISLT Diploma from recognized Institution at Lower Credit or above plus 1 year Post ND Industrial attachment or in exceptional cases, a Pass and 2 years Industrial attachment may be considered. (ii) 5 credit passes in WASCE or NECO at not more than 2 sittings. (a) Physics with Electronics (i) ND in Science Lab. Technology or NISLT Diploma from recognized Institution at Lower Credit or above plus 1 year post ND Industrial attachment or in exceptional cases, candidates with a Pass and 2 years Industrial attachment may be considered. (ii) 5 credit passes in WASCE, GCE, SSCE or NECO at not more than 2 sittings. Higher National Diploma in Geological Technology (i) 5 Credit passes in WASCE, GCE, SSCE or NECO at not more than two (2) sittings. (ii) ND in Geology at Lower Credit or above plus 1 year Post- ND Industrial attachment or in exceptional cases, candidates with a Pass and 2 years Industrial attachment may be considered. (iii) All candidates, irrespective of having done Pre-ND, must have the necessary credits in Mathematics, Chemistry, and Physics and any two (2) from Biology/ Agric Science, Geography, Economics and English Language. At least a credit pass in English Language is Compulsory. Credit in Mathematics, Chemistry and Physics. Any additional two (2) Credits from the following: – Biology/ Agric Science, Geography, Economics and English Language. At least a credit pass in English Language is compulsory. Higher National Diploma in Computer Science (i) National Diploma in Computer Science at Lower Credit or above plus 1 year Post-ND Industrial attachment or in exceptional cases, candidates with a Pass and 2 years Industrial attachment may be considered. In addition, ND holders must possess 5 (five) credits in WASCE, GCE, SSCE or NECO at not more than two sittings. English Language. Any additional two (2) Credits from Chemistry, Biology/Agric. Science, Further Mathematics, Statistics, Geography and Economics. Higher National Diploma in Statistics (i) National Diploma in Statistics at Lower Credit or above plus 1 year post ND Industrial attachment or in exceptional cases, candidates with a Pass and 2 years Industrial attachment may be considered. In addition, 5 credits in WASCE, GCE, SSCE or NECO at not more than two (2) sittings. (b) A candidate with pass in English Language must have additional 5 credits which must include credit in Mathematics. (b) Professional Diploma (Post HND) in Urban and Regional Planning (i) National Diploma in Urban and Regional Planning at Lower Credit or above plus 1 year Post ND Industrial attachment. In exceptional cases, candidates with a Pass grade and 2 years Industrial attachment may also be considered. In addition, ND holders must possess 5 credits in WASCE, GCE, NECO or SSCE, at not more than two (2) sittings. (ii) ND of The Polytechnic, Ibadan through its Preliminary Programme plus 5 credit passes as indicated in (i) above. HND in Urban and Regional Planning with Lower Credit and above. In addition, candidates must possess 5 Credit passes in WASCE, GCE, NECO or SSCE at not more than two sittings. English Language, Mathematics, one Science subject from Biology, Agric. Science/Health Science, Chemistry or Physics, one from Geography, Economics. Credit Passes in English Language, Mathematics, one (1) Science subject from Biology, Agricultural Science/ Health Science, Chemistry or Physics, one from Geography, Economics. Any One (1) additional Credit Pass in History/Government, Technical Drawing, Biology, Agric Science/Health Science, Geography, Economics. Any two (2) additional Credit passes in: Government/History, Technical Drawing, Physics, Chemistry, Biology, Agric Science/Health Science, Geography, Economics. Higher National Diploma in Quantity Surveying (i) National Diploma in Quantity Surveying or Building Technology at Lower Credit or above plus 1 year post -ND Industrial attachment or in exceptional cases, candidates with a Pass and 2 years Industrial attachment may be considered. In addition, ND holders must possess 5 credits in WASCE, GCE, NECO or SSCE, at not more than two (2) sittings. (ii) ND of The Polytechnic, Ibadan through its Preliminary Programme plus 5 credit Passes as indicated in (i) above. English Language, Mathematics and Physics. Any additional two (2) credits from: Geography, Economics, Biology/Agric. Science, Technical Drawing, Building Technology, Chemistry and Woodwork. Higher National Diploma in Surveying and Geoinformatics (i) National Diploma in Surveying and Geoinformatics at Lower Credit or above plus 1 year Post-ND Industrial attachment or in exceptional cases, candidates with a pass and 2 years Industrial attachment may be considered. In addition, ND holders must possess 5 credits in WASCE, GCE, NECO or SSCE, at not more than two (2) sittings. (ii) ND of The Polytechnic, Ibadan through its Preliminary Programme Plus 5 Credit passes as indicated in (i) above. English Language, Mathematics and Physics Any additional two (2) credits from: Further Mathematics, Chemistry, Geography, Economics, Biology or Agric. Science, Technical Drawing and Fine Art. (ii) ND of The Polytechnic, Ibadan through its Preliminary Programme plus 5 credit Passes as indicated in (i) above. English Language, Mathematics, Economics and one core science subject Any additional one (1) Credit from: Geography, Agric. Science, Chemistry, Physics, Biology, Accounts, Government, Commerce Technical Drawing, Basic Surveying, Building Construction, Metal Work. (ii) ND of The Polytechnic, Ibadan through its Preliminary Programme plus 5 credit passes as indicated in (i) above. English Language, Mathematics and Physics. Any additional two (2) credits from: Economics, Geography, Technical/Engineering Drawing, Biology/Agric. Science, Chemistry, Woodwork and Fine Art. Higher National Diploma in Textile and Ceramic Technology (i) A National Diploma in Arts & Design/General Art/Fine Art at Lower Credit or above plus 1 year Post ND Industrial attachment or in exceptional cases, candidates with a Pass and 2 years Industrial attachment may be considered. In addition, ND holders must possess 4 credits in WASCE, GCE, Teachers Grade II Certificate, City and Guild, NABTEB, SSCE or NECO at not more than two (2) sittings. (ii) ND of The Polytechnic, Ibadan and any other Institution through the Preliminary Programme plus 5 Credit passes as indicated in (i) above. B. Holders of Nigeria Certificate of Education would be considered for admission. 1. Any five (5) credits from: English Language, Fine Art, Economics, Geography, Technical Drawing, Physics, History, Islamic Religious/Christian Religious Studies, Government, Biology, Chemistry, Woodwork, Mathematics, Lit. in Eng., Agric Science, Business Method, Commerce, Further Mathematics., Food & Nutrition, Home Economics, Accounting, French, Metal Work, Building Construction, Screen Printing, Painting & Decoration, Carpentry, Welding & Fabrication, Photography, Printing Craft, Dye & Bleaching and one Nigerian Language or any other subject. Higher National Diploma in Graphics Design and Printing Technology A. (i) National Diploma in Arts & Design/General Art/Fine Art/ Photography at Lower credit or above plus 1 year Post- ND Industrial attachment or in exceptional cases, candidates with a Pass and 2 years Industrial attachment may be considered. In addition, ND holders must possess 5 Credits in WASCE, GCE, Teacher Grade II Certificate, City and Guild, NABTEB, SSCE or NECO at not more than two (2) sittings. (ii) ND of The Polytechnic, Ibadan, and any other Institution through the Preliminary Programme plus 5 credit passes as indicated in (i) above. B. NCE Holders would be considered for admission, 1. Any five (5) credits as the case may be from: English Language, Fine Art, Economics, Geography, Technical Drawing, Physics, History, Islamic Religious/Christian Religious Studies, Government, Biology, Chemistry, Woodwork, Mathematics, Lit. in Eng., Agric Science, Business Method, Commerce, Further Maths., Food & Nutrition, Home Economics, Accounting, French, Metal Work, Building Construction, Screen Printing, Printing & Decoration, Carpentry, Welding & Fabrication, Photography, Printing Craft, Dye & Bleaching and one Nigerian Language or any other subject. B. Holders of Nigeria Certificate of Education would be considered for admission. 1. Any five (5) credits as the case may be from: English Language, Fine Art, Economics, Geography, Technical Drawing, Physics, History, Islamic Religious/Christian Religious Studies, Government, Biology, Chemistry, Woodwork, Mathematics, Lit. in Eng., Agric Science, Business Method, Commerce, Further Maths., Food & Nutrition, Home Economics, Accounting, French, Metal Work, Building Construction, Screen Printing, Printing & Decoration, Carpentry, Welding & Fabrication, Photography, Printing Craft, Dye & Bleaching and one Nigerian Language or any other subject. 2. NABTEB, City and Guild, Grade II Certificate are acceptable. How to Apply for the Polytechnic Ibadan HND, Post-HND Programmes. Interested and qualified candidates are to visit the application portal http://admission.polyibadan.edu.ng/ to complete the Online application form. The application fee is N12,500 (Twelve Thousand Five Hundred Naira) Only.